Mount Monadnock, the mountain that stands alone, is reported to be the second most climbed mountain in the world (with Mount Fuji in Japan being the first). An education at The Winchendon School means students are immersed in real-world learning making classroom work relevant to their lives and futures. It also means students are expected to view the world around them as their classroom. At TWS, this expectation translates as the classroom can be on a mountain summit located just up the road in Jaffrey, New Hampshire. As a school, we return to campus and settle into our classes and then we climb Monadnock. This year, the 274 students at The Winchendon School’s main campus were joined for the traditional climb by the students and faculty of The Winchendon School | Brooklyn. Starting off the day with healthy fuel choices, thanks to our dining service SAGE, students were well fed and hydrated for the four-mile hike. 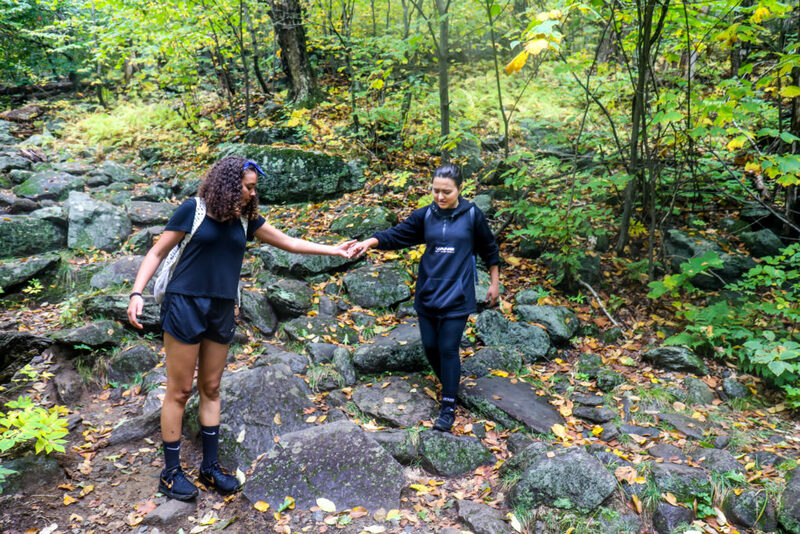 The day’s mix of clouds and mist prevented us from seeing the skyline of Boston, but the sense of belonging to something bigger, connecting with nature, and the feeling of accomplishment as friends greeted one another at the top was palpable. 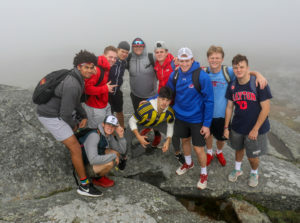 Most people don’t have a mountain in their front yard so climbing Monadnock was the first mountain climb for many of our first year students (some of our local day-students also climbed Monadnock for the first time that day as well!). Despite the mist, the view at the top was all smiles.